Guide your customers to choose the win-win scenario in which both of you can benefit. Whatever generates the most income and makes the customers happy should always be a priority. Our primary obligation in real estate is to understand what our clients need. Starting your day right will have a tremendous impact on how the day goes, especially in real estate. The same goes for when you’re on your way toward day’s end. Wrapping it up right will affect how you start the following morning. Everything is interconnected, and in the world of real estate, make sure that each piece is laced together in a positive way — and that includes your daily habits. If how you end one day affects how you start another, you might as well live each day as if it’s your last, make sure that you seize every opportunity and celebrate every little success. That’s how our guest lives his daily life. It has been routine for him to celebrate success — no matter how small, it’s still success. Courtney Atkinson has always aimed to be remembered for all the right reasons, which is why he made it a habit to exceed expectations throughout his career. You get paid for doing what is expected of you. You get bonuses, incentives and recognition when you do more than what is expected. In his dealings with customers, Atkinson actively ensures that he will be remembered in a positive way. He does more than what is expected of him so when the time comes — his clients will refer him to their friends, relatives and business partners. Take the initiative. In real estate, when you see someone eyeing a property that’s for sale, be proactive. Approach the person, and ask questions; make sure that he or she is also comfortable enough to ask you questions. Break the ice. A lot of people will just sit on the bench and wait for potential customers to approach. Get up and talk to those people. Nobody ever got to finish anything by sitting around. The second habit and one of the most important habits that Atkinson wants others to learn is this one. In any endeavor, you must always have a goal. Not just any goal though — it must be something that you can visualize and see coming true. When you visualize yourself winning the top real estate agent for your state award, you already have a goal. You know where you want to be. The only thing left to figure out is how to get there. Never let the more important things — things of higher significance — be at the mercy of those things with lower significance or value. Whatever generates the most income and makes the customers happy should always be a priority. The primary reasons for the existence of every business are customer satisfaction and profit. Let these be your guide. In every decision you make, consider this habit. Always make it a point to ensure that whatever choices you give to your customers, a win-win scenario is always among them. Guide your customers to choose the win-win scenario in which both of you can benefit from a transaction or a deal. Guide your customers to choose the win-win scenario where both of you can benefit. Our primary obligation in real estate is to understand what our clients need. We should always extend a helping hand and not oblige our client to understand where we’re coming from. Remember, they are our main priority. I would gladly discuss the final two habits, however, it would be more beneficial for you to read the book and find out how these will change your life. “I think it’s human nature to wanna help those that are in need of help, and business is no different,” Atkinson said. So here I am, tapping into my human nature and my desire to help those who are in need. Please go to the links below to listen to my podcasts for valuable input and learning. For the full interview, please click here. 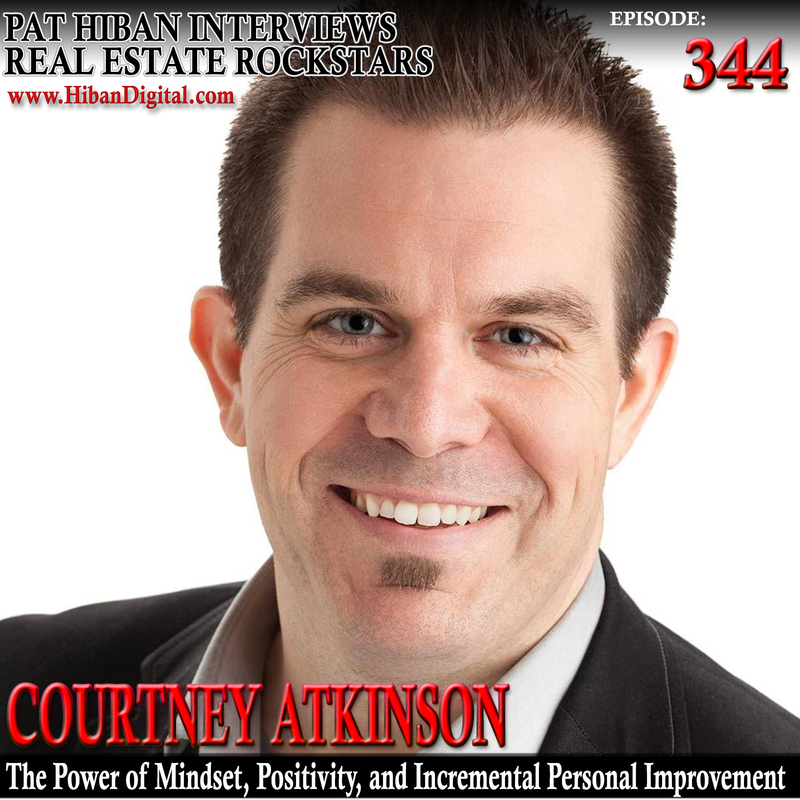 Pat Hiban is the author of NYT best selling book “6 steps to 7 figures – A Real Estate Professional’s Guide to Building Wealth and Creating Your Destiny” and the host of Pat Hiban Interviews Real Estate Rockstars an Agent to Agent Real Estate Radio Podcast with Hiban Digital. Follow him on Instagram or Twitter.